T-Mobile Alcatel Idol 4S Android Accessory Kit, 2 in 1 Rapid Charging 2.1 Amp Wall Charger Adapter + 3 Feet TYPE C 2.0 Fast USB Data Sync Cable WHITE by NEM at DJ Luu. Hurry! Limited time offer. Offer valid only while supplies last. Premium Generic Home Chargers were designed with smart IC chip technology to avoid overcharging as well as allowing usage of a device while charging. Premium Generic Home Chargers were designed with smart IC chip technology to avoid overcharging as well as allowing usage of a device while charging. Plug in at home or office Allows using your phone while charging it from your wall jack. Compact made for easy storage. Built -in charging circuitry protects against back-flow current and your device from excessive electrical loads. The charger fits standard US outlets. 3 Feet Long cord. *** NO HASSLE MONEY BACK GUARANTEE - We know you'll love our products. If for any reason you're not 100% SATISFIED, let us know and our customer service team will make things right: 30 DAYS full refund or a free replacement. *** DETACHABLE CHARGER SET - This Kit includes Travel Charger + Detachable Rapid 3 ft Type - C Data Sync cable. 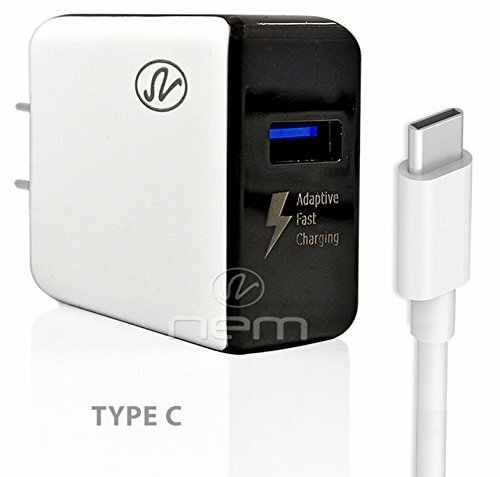 It will charge Phone's and Tablet's that use Type - C USB cable. Syncs and transfers files via Type - C USB data cable. If you have any questions about this product by NEM, contact us by completing and submitting the form below. If you are looking for a specif part number, please include it with your message.